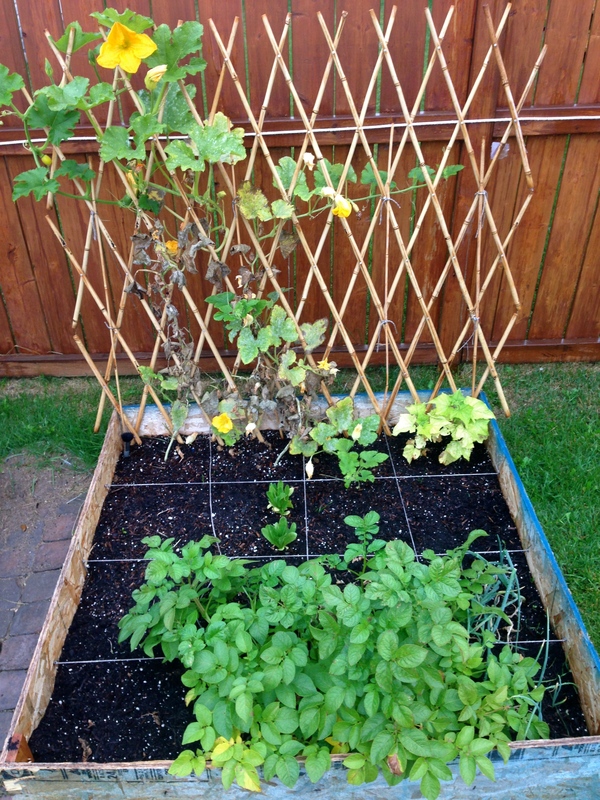 I was so incredibly excited for this year’s garden. I started way back on March 20 planting my own seedlings, which was a bit later than most people do but it’s always better late than never! Daily from March 20 until today I have watched my plants grow, or try very hard to grow anyways. There has been some victories and I have celebrated them with glee! There have been far more failures, and I have definitely learned from them. I’m already dreaming up next years garden which will include a brand new box with a cut flower garden. I love fresh flowers but will almost never spend the money on a grocery store bouquet. I’m excited to hopefully grow a garden that will bloom in every season so that I can have a burst of life and color in the house. I’ve found gardening to be fairly low maintenance, and always enjoyable. I love to be outside, even cutting the grass is a chore I look forward too. Growing my own plants has definitely been a stress reliever and I can’t wait to continue to learn. I plan on planting some herbs for inside and adding many more indoor plants to our space. Both my husband and I think they add great things to home decor, the more plants the better! My husband mentioned wanting to feel like he was in a forest of plants, not sure we’ll go that far but definitely more plants to come! 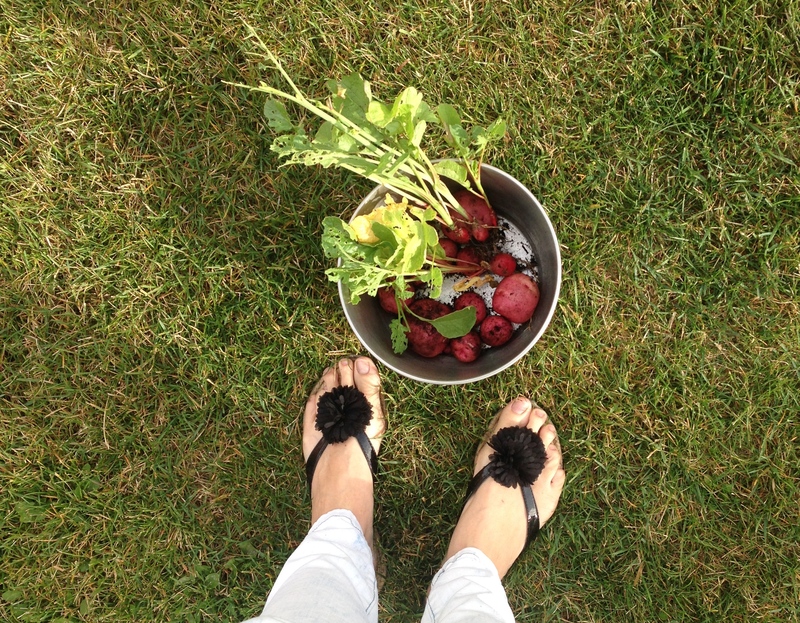 Here’s a glimpse at what the garden looks like today, and what we’ve harvested so far! This is the right garden today. 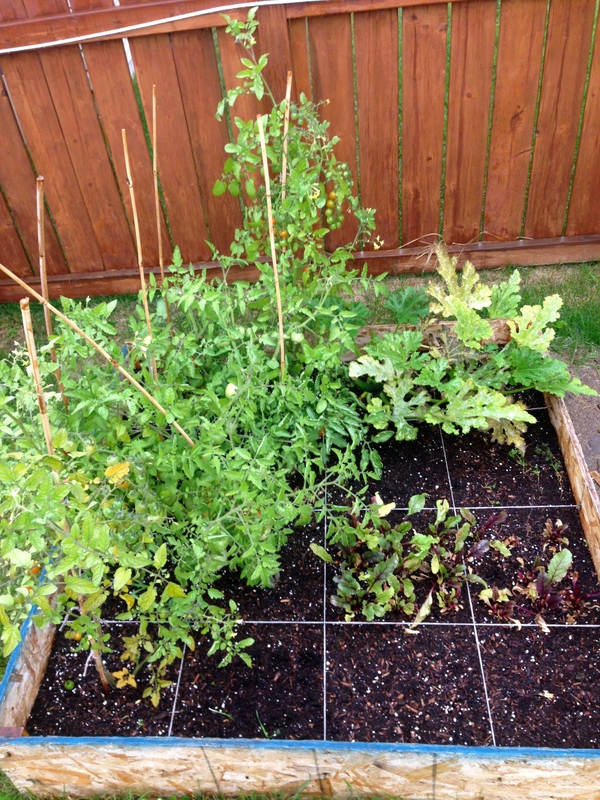 What’s left: potatoes, lettuce, cucumber, pumpkin, squash. 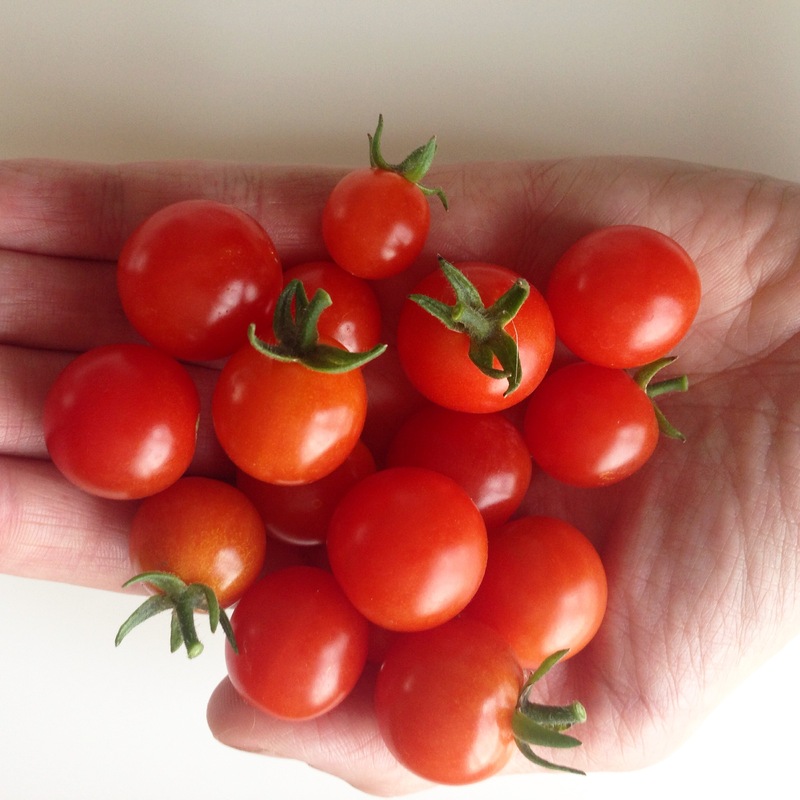 Cherry tomatoes! 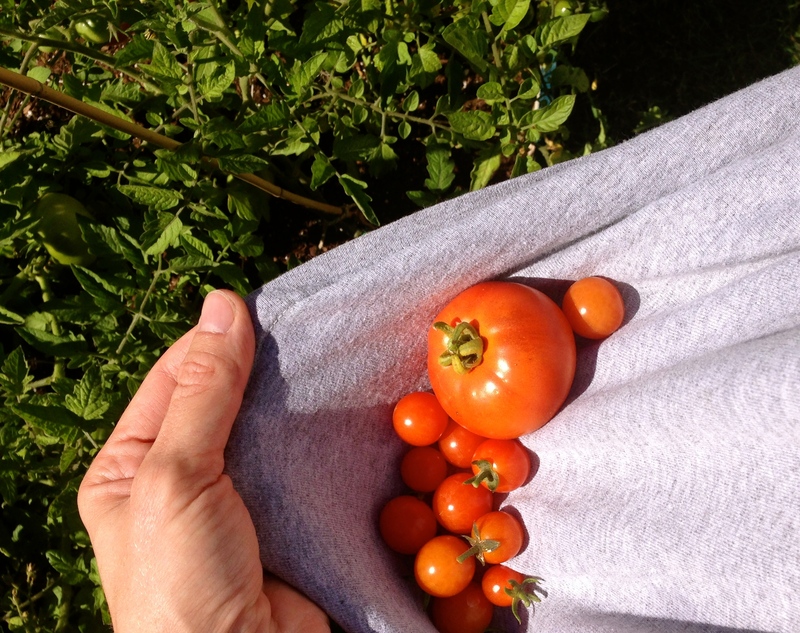 I’m especially proud having grown my tomato plants from seed. First potato harvest. Lots of tiny-small ones but they are yummy! I didn’t think I would have any carrots, they all looked so wimpy. Today I was cleaning them out and was ecstatic to find a few cute babies! I probably should have let them all grow longer. Second tomato harvest, and I even have one medium sized that vine ripened! So as you can see I’m not even close to a great gardener but I’m definitely a great learner! 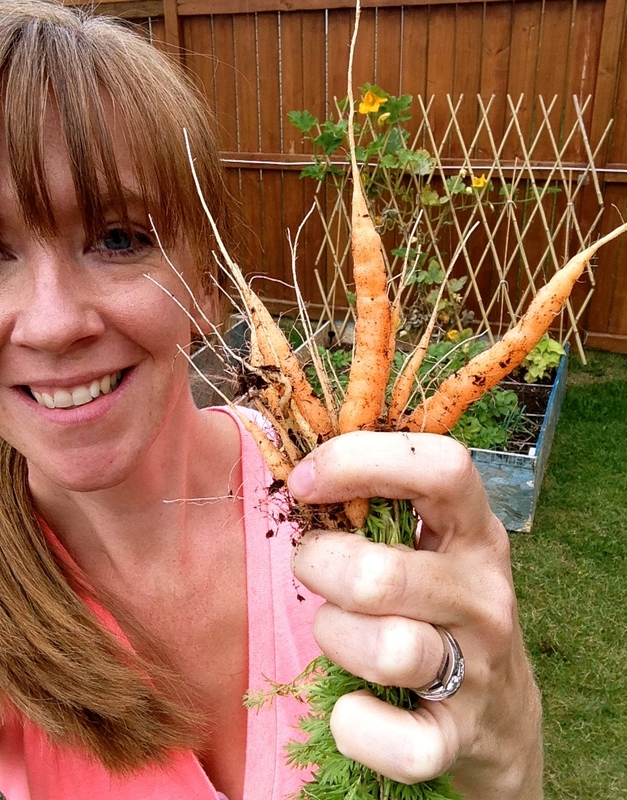 This entry was posted in Gardening and tagged ABOVE GROUND GARDENING, CALGARY GARDENING, FAILURE, GARDEN, GROW YOUR FOOD, HARVEST, SQUARE FOOT GARDENING, SUCCESS, VICTORIES. Bookmark the permalink.